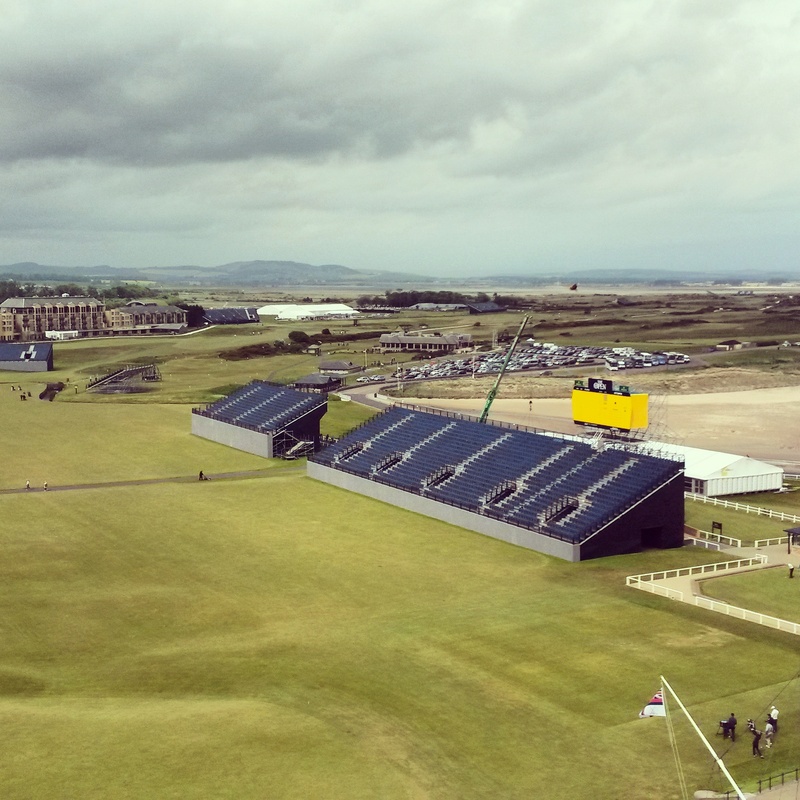 All eyes are on St Andrews this week as The 144th Open Championship gets underway. It is an honour to welcome the Championship back to St Andrews for 29th time, and through doing so an equally exciting opportunity presents itself to local businesses, especially those in the food and drink sector. Over the past few years the food and drink scene in St Andrews has gone from strength to strength, with lots of different factors contributing the town’s growing foodie fame. The commitment from local suppliers, producers and restauranteurs to work together is unrivalled. The Chefs have a real passion and appreciation of the access they have to such a vibrant larder in St Andrews and the wider Fife area. It is also thanks to organisations such as Food From Fife, and the commitment from Scotland Food and Drink, in partnership with the Scottish Government, to the ‘2015 Year of Food & Drink‘, that St Andrews has been thrust into the spotlight. The ‘home of golf’ is fast being recognised as the ‘home of food and drink’ in Scotland, and has gained respect, certainly from across the pond, if not world-wide, for its’ fabulous gastronomic offering. According a BBC news article published today, over 200,000 golf fans are expected to flock to the home of golf this week. Visit Scotland estimate that for every £1 a golf visitor spends on green fees, a further £5 is spent on food and drink and entertainment. It’s a no brainer for local businesses to get involved. 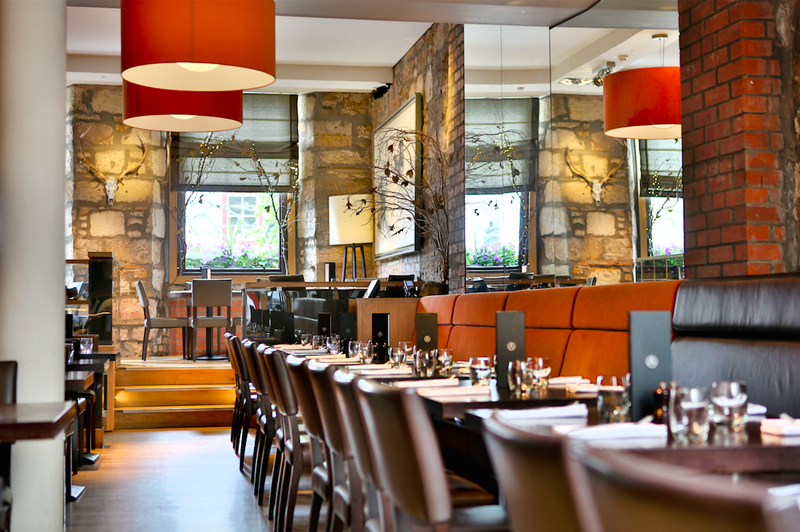 Located at 127 South Street, Scotland’s ‘Restaurant of The Year’ is well worth a visit. The kitchen is headed up by esteemed Head Chef, Paul Hart, and boasts an exciting menu, packed full of local, seasonal ingredients. Much of the seafood featured is landed right on Fife’s east shores, mere miles from the Restaurant itself, and the team pride themselves on creating inspiring dishes using the very best local produce. Highlights from their special Open Championship Dinner Menu include a fabulous main dish of grilled plaice served with lobster ravioli, minestroni and mussels. 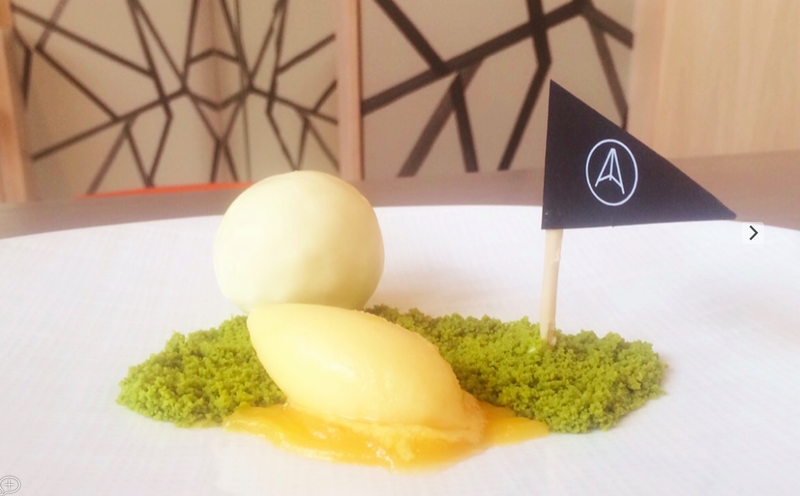 The ‘Hart of the Green’ dessert will have golf aficionados feeling at home – a white chocolate & raspberry mousse, passionfruit sorbet and a pistachio crumble. 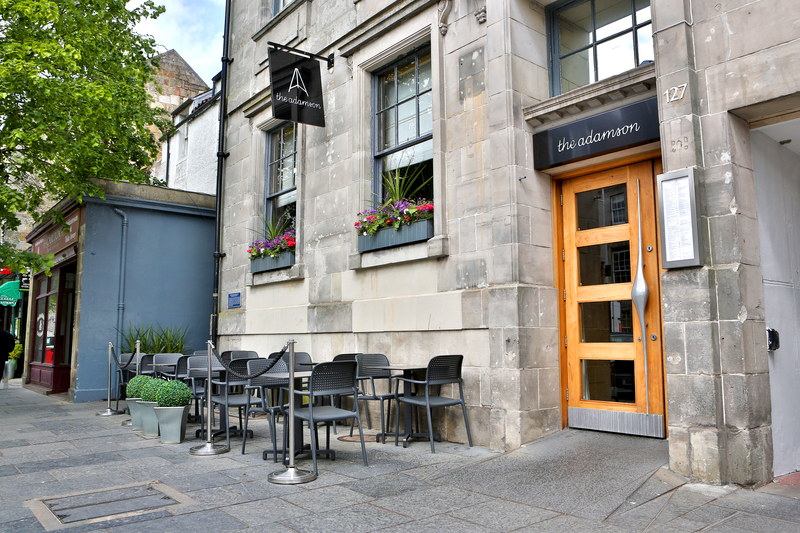 Plus, if the sun decides to make an appearance, The Adamson have a few tables out the front, perfect for sunshine basking and people watching. A scrumptious a la carte lunch menu is also available. 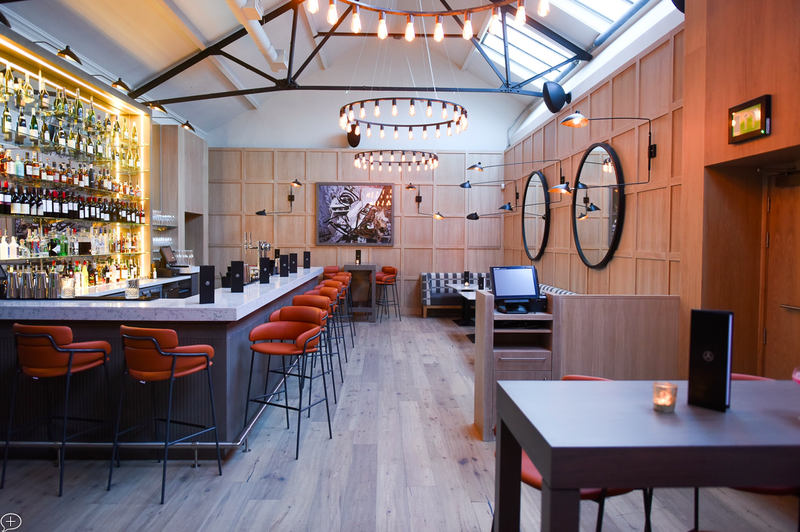 For lighter bar plates and a fabulous cocktail list head to next door to The Adamson Bar, newly opened this year. The incredibly stylish interior matches the trendy cocktail offering. My cocktail of choice would be a French Martini, or anything gin based! The cocktail menu changes regularly, both to reflect the seasons and their customers’ desires. If you are struggling to decide, ask the expert bartenders for a reccomendation, you won’t be disappointed. 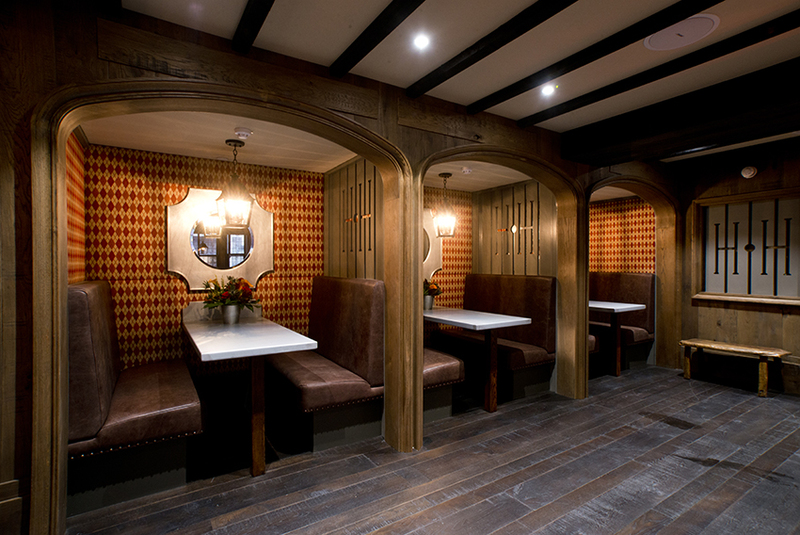 Top Tip: The bar is as great a space for teas and coffees during the day, as it is for evening cocktails and a night out. For the restaurant, you’ll need to book, these guys are popular! Tucked away, right behind the Old Course 18th green, you won’t get closer to the action out with The Open grounds. The cosy and relaxed pub sits in the basement of the luxury, private, Hamilton Grand Apartments, part of the Old Course Hotel, Golf Resort & Spa. The main hotel remains closed to the public, allowing only badged access throughout the Open Championship, however Hams Hame is open all week and can keep you fed and watered from 6.30am right the way through to the wee hours. Their Bar ‘Grab & Go’ menu is perfect for those looking for a quick bite before hitting the course first thing. It includes breakfast rolls, granola pots and sandwiches, all to ‘grab & go’. If you have a little more time on your hands, enjoy choosing hearty, comforting pub grub from the restaurant menu, 3 courses for £30. The big screens will keep you up to date with the state of play so you won’t miss a moment of the action. Check out their menus here. Top Tip: Head over late afternoon and claim your booth, you might just beat the crowds flocking to the bar once play for the day is over. An institution in St Andrews, you won’t have trouble finding Janetta’s – just look for the queue of hungry, ice-cream lovers spilling out the door and up South Street. What can I say other than they have the most fabulous array of ice-cream flavours on offer, including a new Championship flavour, ‘Bunker Bliss‘. A mix of kiwi ripple with crushed meringue – kiwis to match the greens of the golf course and white crushed meringues to match the white golf balls – it will no doubt be a popular choice this week. The only thing left to decide… tub or cone? Top Tip: Have your pennies ready and survey the ice-cream menu as you wait. These guys run a slick operation, and with the queue of St Andrews summer visitors ever growing, you won’t want to hold up proceedings! You will find Balgove on the road into St Andrews. If coming in from Guardbridge, just before you hit the town, the turning is on the right hand side. Bring your purse and be prepared to part with most of the contents! The Farm Shop is full of delicious goodies which look too go not to take home. Stacks of fresh fruit and vegetables, eggs, luxury condiments, gifts and a full deli and butchery with fantastic cuts of their own farm meat are just a few of the things you can fill your basket with. They also have a good selection of ‘ready meals’. Last week I enjoyed their Balgove Steak Pie & St Monan’s Fish Pie – both perfect dishes for a hassle free supper, and you can rest assured they are packed full of goodness, even though it’s not you who has not cooked them from scratch. Balgove also boasts a cute, little cafe next to the shop with delicious scones, home baking and lunch/deli style dishes – check out the menu here. However, for me, the star of the show throughout the summer months is their Steak Barn, open Wednesday – Sunday 12pm – 8.30pm. Exactly what it says on the tin, enjoy steaks, burgers and sausages, all cooked on their massive wood-fired BBQ, along with a great selection of local beers and a decent wine list. A very rustic, chilled out way to spend an afternoon or evening. Top Tip: Browse the shop and fill your basket whilst you are waiting for a table in the cafe. Last, but by no means least, you can’t visit St Andrews without enjoying a top class fish supper, and in this seaside town it’s no surprise you are spoilt for choice! It’s a toss up between The Tailend on Market Street and Cromars on Union Street. Both have a restaurant section, but if you ask me, a true fish supper is not meant for sitting in. Whichever one you go to, you’ll be served incredibly crispy, fresh fish in a delicious batter with ‘proper’ chip shop chips. Top Tip: Don’t sit in, get a take-away and wander down towards the beach and sit on the harbour pier – a St Andrews fish supper the way it was meant to be enjoyed! Off you go now… promise me you will eat like a Champion and remember to share your food and drink stories from St Andrews, all whilst enjoying one of the most exciting weeks 2015 has to offer the town. Great little run down, but don’t forget the best place to buy some fizz (and every other wine, spirit & beer imaginable) in town, Luvians on Market St. Also there is a brand new barbeque restaurant called Q which only opened in Monday & is amazing.